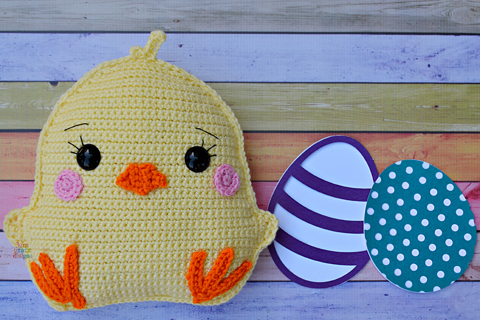 How To Crochet A Chick Amigurumi Cuddler Pillow, Complete With Rosy Kawaii Cheeks And Smile! Our Chick Crochet Pattern Works Up Quickly! Hi friend! Happy Friday! 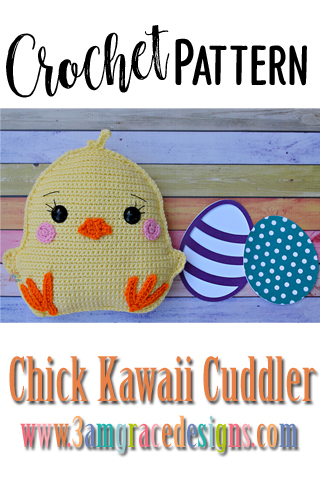 We’re excited to share our Chick Kawaii Cuddler™ crochet pattern with you! Just in time for Easter baskets and Spring goodness! She goes great with our Easter Kawaii Cuddler™ series including the Bunny Kawaii Cuddler™ pattern, Easter Peep Kawaii Cuddler™ pattern, and the Easter Egg Kawaii Cuddler™ crochet pattern! We hope you enjoy making your very own Chick! We can’t wait to see your creativity. When you complete one, please post it in our Facebook group or tag us on Instagram #3amgracedesigns. We love seeing your work! I just wanted to mention, I love your patterns, they are so cute! 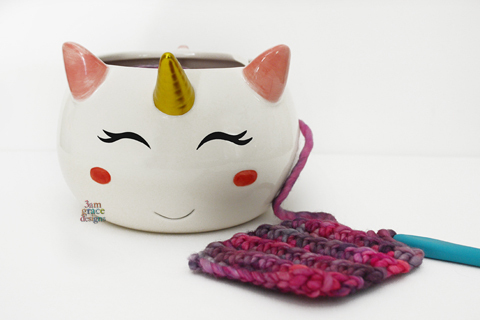 I have made a couple of the free ones for myself and they are just adorable! Keep up the great work! That is so kind – thank you! Hi Ladies, I think I have forgotten how to find your patterns. Usually the pattern follows but I don;t seem to be able to find it. Is it a premium pattern? Thank you for sharing all of your patterns. This is a paid pattern available in our shop. Have a wonderful Easter!